“Salary supplementation”. It literally means “to spoonfeed” and some cynics translate it as “bribe”, but they haven’t studied legal ethics in Indonesia. To “wash money”. Indonesians are very concerned with personal hygiene. 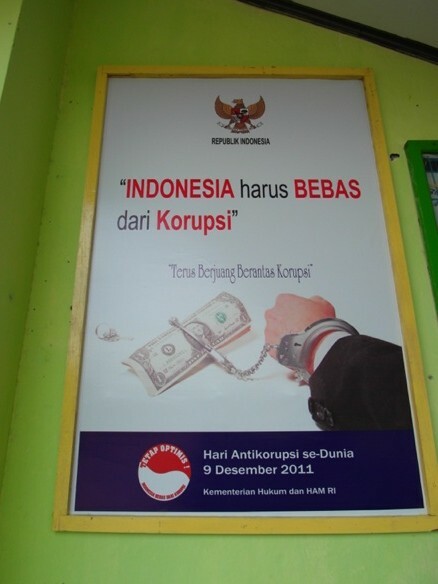 Many Indonesian lawyers feel they have an ethical obligation to ensure that money stays clean. “Bank account”. Derived from the word for “suitcase”, this word describes the mechanism through which most Indonesian lawyers get paid. In the interests of enriching the ethical understanding of foreign lawyers in Indonesia, I offer the Golden Loophole Award for the best additions to this list.